After using and loving the Revolution Fast Base Stick and rating the Revolution Conceal & Define Concealer among my Top 5 Concealers I guess I don’t really have to say that I had pretty high expectations for it. The first thing I noticed about this is that the glass bottle makes it feel and look much more expensive than it is. It looks high end, which is always great when we are talking about lower end drugstore! Who does not want great stuff for less right? The bottle has an applicator. Similar to the one in the Revolution Conceal & Define Concealer just bigger. Some people have issues with that regarding hygiene. I do see the point, however most people use concealer wands under their eyes and to spot conceal without complaining about hygiene so I don’t really see the difference. It’s not like you have bacteria on your forehead but not underneath your eyes. However, this is a good point for a working makeup artist where hygiene is completely different than what it is for your own personal collection. But enough rambling, if hygiene and applicators are an issue it’s possible just to dab the applicator on a brush or sponge first. I don’t mind so I just apply directly with the applicator. I did however find a small problem with this having an applicator and that is that I have to dip it into the bottle several times to get enough, and every time I pull out the applicator I could end up spraying tiny drops of foundation all over unless I pulled it out very carefully. Maybe I am just a cave woman, but I ended up with small droplets of foundation all over a new eyeshadow palette before I realized I had to be super careful. And I was not happy about that. But when you finally get it on it looks nice. The coverage is good. I would say medium but build-able, but to be fair I don’t felt like I needed to build it up since I don’t have much I need to cover up. However, if you want that full coverage they say it has it needs to be layered. The finish is quite matte. I found it to be easy to apply both with a brush and with a sponge and It applied nice and evenly and blended into the skin quite quick. I did not notice any oxidizing. At first it looks very nice on the skin. You do get a nice, matte porcelain skin and I really like that look. I don’t think it looks overly done either even though it has quite a lot of coverage, but it’s important to find the right shade with this as it is more than just a sheer cover. I picked up F4 and F6. The first one being just right during winter, and the second which is a bit more yellow works fine during spring when I have a bit of color, but would be too light during summer. Even though it does look great upon application, and for a few hours, I do see some cracking around my nose and on my forehead after about 4 hour wear. You would have to get really close to see that, so it does not look too bad, but there is definitely something going on. After around 8 hours I have some fading in those areas, meaning it’s not the most long lasting foundation on my skin. It do think that this foundation could work better on oily skin, and that it may look a bit dry on dry skin. I do have normal skin that tends to be a tiny bit dry when the season change. I would not reach for this during those dry moments. To be completely honest I m not sure if I will pick up this one again after I finish these two. You never know, maybe they for example work wonders in 6 months, but for now I do have foundations that look better than this after 8 hours. With that said I really like the looks of it for the first 3-4 hours so unless I really need my foundation to work a full work day I can reach for this for my evening makeup for instance. Overall, not bad at all. Love the look of it for the first hours, but will be careful with this if I do have some dry skin. I would however like it to have a bit more longevity, and if I had to stick with just one foundation from Revolution it would without doubt be the fast base stick which just seems to work better for my skin (and I love the finish of that as well). Either way, the foundation is super cheap so absolutely worth a try, but my guess is that people with normal to oily skin will have better luck with it. Did you try this foundation? What are your experience with the formula? Revolution’s concealer is my favourite so it is a shame their foundation isn’t well received. I look forward to reviewing it for myself! I love the Fast Base stick and the Conceal & Define concealer, so I definitely want to try this foundation. 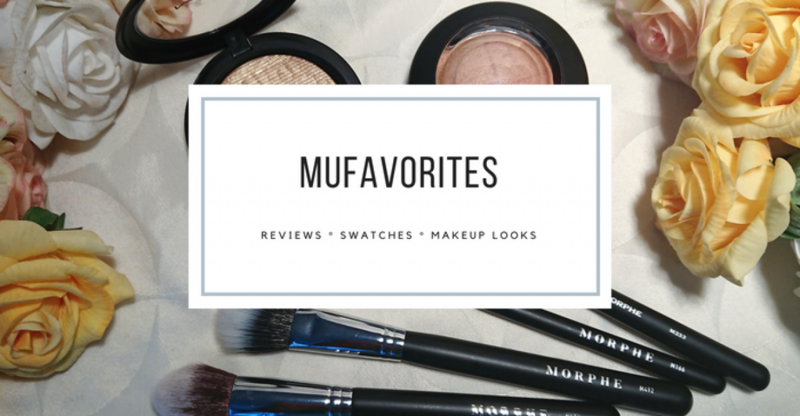 great review, I’ve just started trying a few products but Makeup Revolution so far for the prices I’m pretty impressed. I’ve been trying out the concealer and i quite like it so far. have you tried out the stick foundation? I’ve been thinking about trying it at some point in the near future after I’ve finished up some other foundations. This is a great review!! I did also purchase that foundation and it first I really liked it but step by step started to realize all those points that you mentioned. It is great for an evening makeup when you don’t wanna be out a lot and the chances of getting stressed are small 😀 But it is definitely not a full day foundation (unfortunately). It just cracks really unflattering around the nose and the mouth also on an oily skin like mine. I am mixing in some Infinity Glass from LH when I use it and that makes it better, but still not great.